You can’t start a piece on Affirmations without first mentioning the lovely Louise Hay who is undoubtedly the Queen of Affirmations and certainly her book, You Can Heal Your Life, was the beginning of my conscious journey to inner love, peace, acceptance and joy. This, by it’s pure nature, led to my improved health, abundance, vision and happiness. For this reason, not only am I a big fan of Affirmations, but I also love helping others understand How and Why they are so important to Self Healing and Happiness. However, I have had a number of clients who have complained that they don’t feel comfortable with saying Affirmations because they feel empty or the sentences get stuck in their throats for the simple reason that they perceive them as “lies”. If this is your reflex response thought to this Affirmation then you can either focus on the love you do have for yourself and the aspects of your diet that ARE nourishing – even if this is small – at least it’s TRUE and by repeating it morning, noon and night you will find that you will slowly love yourself more each day AND slowly increase the amount of your diet that is “nourishing”. But you do have to do it – believe me it works! If this still does not resonate with you and it just makes you feel worse (we can’t have that) then you can downsize the Affirmation. We can do the same for Abundance Affirmations too. When trying to manifest more money into their lives many people get stuck because they are focusing on what they DON’T HAVE rather than what they HAVE. If you focus on “lack” then the Universe will give you MORE “lack”. This is where there is an overlap with manifesting through Gratitude and The Law of Attraction. It’s all the same concept. I’ve said it before and I’m sure I will say it again! Everything is Energy. We emit a vibrational frequency and by the pure nature of Science (yes, Science!) the Universe will bring back to us that SAME frequency. So if you emit energies of Gratitude it will bring you MORE things to be Grateful for. If you emit LOVE, it will send you MORE LOVE. It’s SO simple! Some people refer to it as “The Secret” (Rhonda Byrne’s famous book and film) but I prefer the word “Concept” because, to me, it’s such a logical CONCEPT. So as you focus every morning, noon and night on the nourishing aspects of your diet, the good things about your body, the things you DO have and are grateful for and the abundance you actually already have, the Universe will match it and bring you MORE. Now that’s ABUNDANCE! To help you raise your vibrations try visualising as you say your Affirmations – visualise the body you want to have (make sure it’s YOUR body you visualise and not anyone else’s – you have no idea what’s inside other people’s bodies), visualise your bills paid, visualise driving the car you want, visualise a soul mate, visualise the activity you want to be doing ………………I mean REALLY imagine you already have it. SEE it – what does it look like? SMELL it – what does it smell like? HEAR and TASTE it. FEEL it – what does it feel like? SENSE the whole thing. Now THIS will raise your vibrations to receiving whatever it may be. If a negative or contradictory thought enters your head – just let it go – and keep going. Some people find Affirmations are more powerful and effective said while doing yoga, for example. Personally, I find repeating them while swimming is powerful but then you have to find YOUR “thing”. The thing that makes your Heart Sing – and say them then! 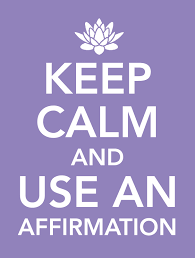 How Often Do I Need to Repeat my Affirmations? I have said repeat them morning, noon and night but really I mean much MORE than that! When you first wake up, while cleaning your teeth, while in the shower, while doing your hair, while driving to work, if you’re busy all day at work say them when you got to the loo – just keep saying them. Try and say them with total BELIEF. Even if none of this is resonating with you and you still don’t believe they can work STILL just SAY them. 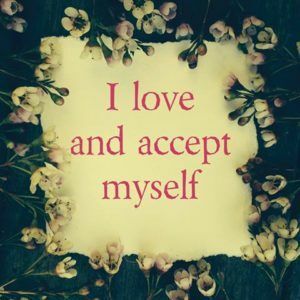 I had no idea how powerful Affirmations could be – I just repeated the first set of Affirmations from Louise Hay’s book – and said them without knowing or believing any of this – it was only later on that I realised all my Affirmations had come true! Honestly – it was like OMG! I have and I am everything that I’m saying – Wow! Whether it was physical manifestations or my perception of things that had changed is an interesting point to explore but that is another story! They had ALL become, indeed, TRUE for me. So I quickly wrote out 8 more Affirmations to fit my new desires. I also took these from Louise Hay’s film “You Can Heal Your Life” because they were all encompassing and relevant to me (to everyone I don’t doubt) but you can make your own up or find the best ones for you from the exercise at the end of this piece. How Can I Word my Affirmations? Affirmations always need to be in the present tense – if you say, for example, ” I will have a beautiful body”, “I will have an increased income” then the Universe will match that vibration of NOT having it NOW. So keep your Affirmations in the present. Also, keep them more general in nature – the word Abundance is great – it covers so much. Try not to be too specific – the Universe works in mysterious ways and it’s not up to us to ask “How” something will be manifested – this, in fact, can hinder manifestations. Trust that the energy will do its thing if YOU do your bit. Very often the Universe manifests things in a way we could never have imagined so by focussing on the “hows” you are limiting your desire from coming to fruition. 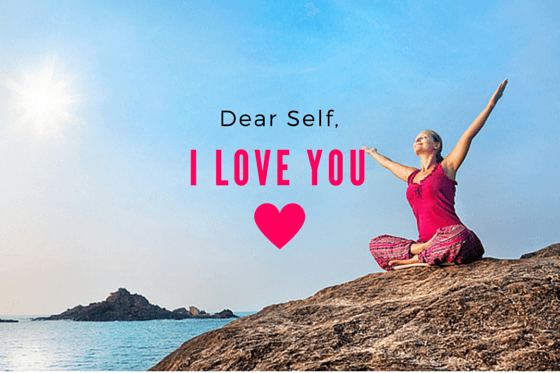 Why Should We Repeat Affirmations so many times? What we’re actually doing here is reprogramming our subconscious minds which brings us onto the overlap between Affirmations and PSYCH K which is the amazing belief changing modality based on integrating the brain to accept new, positive beliefs and so releasing the existing, limiting and self sabotaging belief. We program our minds from a very young age usually from our parents, teachers and other significant adults in our lives at the time. We are totally unaware that we do it and for this reason we are often unaware that we are limiting ourselves with such beliefs. Thought and therefore belief, is energy and, as always, the Universe will match it. If you were told as a small child, for example, that you didn’t deserve to have something or you weren’t worthy of having something and you BELIEVED this – by continuing to believe this, your beliefs will make it true and the Universe will bring you more situations where you feel unworthy. By installing statements (Affirmations) of “I am Worthy” and “I deserve…” “I am loved..” etc the Universe will match this and give you situations whereby you can feel your worth and loved. This can, and does, change people’s lives around as we build so much of our lives on our BELIEFS especially the beliefs we have about OURSELVES. “Thoughts Become Things – Choose good ones” – Mike Dooley. So here’s the Exercise. I have a long list of Affirmations here and I want you to slowly read them and acknowledge your FIRST thought response to each one. If you can read it comfortably then there’s a chance you believe it and you can move on. If your mind jumps to one or two things that contradict the statement then you could be nearly there but with some issues to clear up making this statement a good option for you to adopt. For those of you who can Self Muscle Test – repeat each statement and muscle test yourself – a positive response indicates that your sub conscious mind already believes the statement. You can muscle test on each statement until you find one that tests negative. That’s the one to work on. My Favourite Affirmations – enjoy them and see the change! I am an unlimited being, receiving unlimited abundance from an unlimited Source in unlimited ways. I had never really understood the meaning of these famous lyrics until recently. I was watching a film the other day about Native American Indians and they mentioned how it is important to listen to the wind. They said that the answers they seek are found by listening to the wind. It is easy to gloss over these comments, phrases and lyrics but the truth behind them has now dawned on me. As I see it, it all relates to breathing. Our answers come to us through our breath which comes from the air (and wind). And not just our answers………….for we may not know what the questions are! But our inspiration, our health, our ideas, our dreams, our energy, our intuition, our visions, our oxygen – in short, our life force energy! I told someone the other day about my ideas to write a piece called “The Importance of Breathing” and they just laughed. Of course breathing is important – we’d die if we didn’t breathe. Yes. Good point. But have you ever really thought about that? I mean, really thought about it? After all, we can go weeks without food, days without water but very few minutes without breath. And our breath does so much more than just keep us alive. It feeds and nourishes our bodies, minds and souls – it brings us, or it IS, our Life Force Energy which in turn brings us our ideas, intuition, creativity, thoughts, feelings and ……..everything! Shouldn’t we, therefore, give it some respect and spend a little more time focussing on it and nurturing it? We know that breathing affects our physical bodies. We associate someone panicking with taking short, shallow breaths and we encourage them to breathe slowly and more deeply. We associate a shock with a sudden gasp followed by the breath being held in an unnatural way. When we are fearful our hearts beat faster and our bodies want to breathe faster – in fact, there are many negative emotions associated with short, shallow breaths. We also know that when we go to the seaside, it’s instinctive to take a large purposeful breath in and fill the lungs to enjoy the commonly recognised benefits of the sea air. We know that when we are relaxed and flop into our sofas at the end of a busy day we give an almost exaggerated sigh – in other words a deep, slow, meaningful breath out. We also know that Meditation and Yoga both practice slow, deep, purposeful breathing. So we can see that slow, deep, deliberate breathing is healthy and good for our bodies (and minds and emotions) and short and shallow breaths are not good for our health or bodies or minds or emotions. If this evidence is all around us and we experience the positives and negatives of our breathing patterns on a daily basis, then why? oh why? do we not concentrate more on correcting and changing our breathing patterns to enjoy better health and happiness? If breathing slowly and deeply can relieve a panic attack, calm a fearful person and relax the mind so easily then why, in this world of so much stress, do we not practice it more often. Breathing slowly, deeply and mindfully. I love it! It feels so good and makes me healthier and even happier! 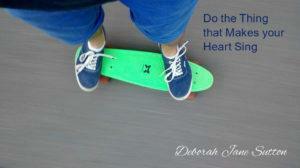 Doesn’t everyone want to improve their health, reduce their stress and feel happier? Well, learning to breath properly – more mindfully – can do that for you. After all, many sportspeople learn new and different breathing patterns to enhance their physical performance – whether it be to stay underwater longer, build up confidence or to generate energy – they are in fact, empowering their physical bodies with their breath. Therefore, so can you. You can heal, relax and energise your body with something as simple as your breath. If I asked you what you see with, you would probably say your eyes. What do you speak with? You’re now wanting to say “the mouth”, aren’t you? What do you think with? your brain? or your mind? Your brain is in your head but where is your mind? Where do your thoughts come from? Where do your words come from? If I asked you to raise your hand in the air and then asked you how you managed to do that, you’ll probably say with the use of your muscles and again, you’d be partially correct but think about this……………. Imagine two bodies lying side by side. One alive and full of life and the other one dead. Think about it for a moment. The dead body has a brain but cannot think. It has a heart but cannot feel. It has eyes but cannot see. It has muscles but cannot lift its arm. Where is the dead body’s mind? Physically, the only difference between the two bodies is one is still breathing and the other one isn’t. But it’s more than that. One is still thinking, dreaming, inspiring, digesting, feeling, seeing, hearing, caring, loving……….being. In fact, the only difference between the two bodies is one is breathing and the other one isn’t. Yet with that breath comes all our health, ideas, thoughts, intuition, dreams, love, joy, awareness, visions, consciousness, happiness and connection and for the scientists among you, our oxygen!! The increased oxygen intake from slow, deep mindful breathing will help you detoxify your body’s cells. We know that cancer cells, for example, cannot survive in oxygenated environments so that’s just another bonus of breathing in such a way as to maximise your oxygen intake. So ALL these things come to us in our breath. That’s why we call it the Life Force Energy. So if you want more health in your life, greater ideas, thoughts and intuition, more love and joy, heightened awareness, consciousness and connection as well as more happiness then breathe slowly, deeply and mindfully more often in any way you can making a point to improve the quality of the air you breathe as well. Through exercise, country walks, yoga, meditation or even just for 5 mins on waking and sleeping. It’s easy and you’ll notice the difference. And while on the subject of our Life Force Energy, the scientists among you will know that Energy never dies, it never dissipates. It can only transform from one state or form to another but it can never vanish. So where does our Life Force Energy go when our physical bodies stop breathing? One last point I’d like to make that I also learned through Yoga. 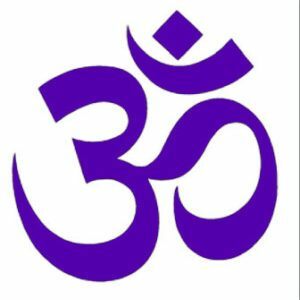 As I already mentioned, Pranayama means Breathing/Life Force Energy Techniques and there are a number of different techniques to be studied but I just want to mention the most common one – Ujjayi breathing. To adopt the technique correctly you should inhale and exhale more deeply than usual through your nose. On the exhale you should constrict the muscles in the back of your throat which will make a slightly raspy sound. In my opinion, it is not only the sound that is important here but how deep down in the belly you take your breath. In today’s world when we take in a full lung breath, we tend to subconsciously restrict the flow of the life force energy coming in so we can push our chests out and hold our stomachs in. Take a full lung breath now as you read this and see what you subconsciously do. If your chest has risen and your abdomen has contracted then you, too are restricting the life force energy coming into your body. Maybe we are subconsciously avoiding our bellies from hanging out!! Let the belly hang free I say – it’s so much healthier that way! 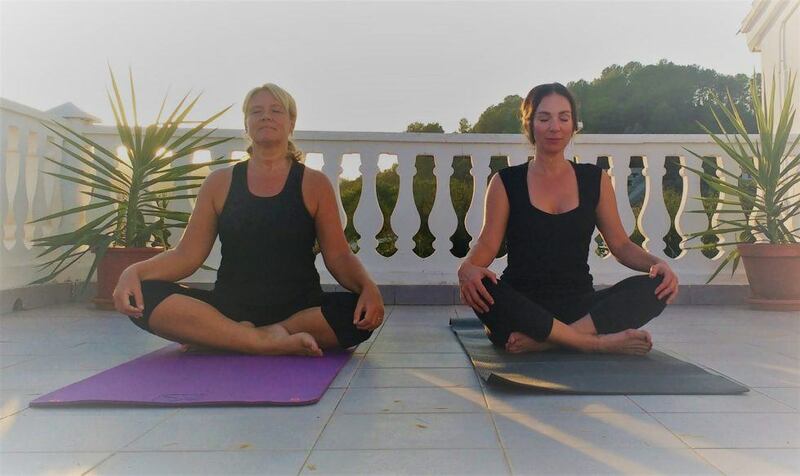 Now relax your body, drop your shoulders, relax your tummy and take in a slow, deep, mindful breath without restricting it so your belly expands with the breath and then slowly feel it retract as you exhale. Visualise the breath going all the way down your chest, past your diaphragm and into your belly and lower belly. So your challenge now is to incorporate some slow, meaningful breathing into your daily routine, preferably in fresh air, making sure to relax your belly and let it expand with each inhale. You will soon find that, the answer my friend, is blowing in the wind! Let me know how you get on. Giving Gratitude is honestly the easiest and simplest way to manifest anything you want in life. I mean REALLY giving gratitude. Feeling gratitude. I started “counting my blessings” a few years ago by just acknowledging and appreciating my mother, sister and son in my life each day. I used to have a wind chime hanging just outside my front door and as I passed it in the hallway on my way out every morning I used to touch it and say thank you for my closest family members. To be honest I didn’t think much about it and for sure I had no idea at the time how powerful this action could be. The concept of giving Gratitude came to me during my Reiki training. It is one of the 5 Principles of Reiki. The 5 principles didn’t mean much to me at first but they have grown to mean so much to me now (or rather I have grown to deeply appreciate them now!) I wonder how they will resonate with you? Dr Mikao Usui, the founder of Usui Shiki Ryoho Reiki, believed that in order for anyone to practice Reiki and transfer healing energy to others, they must have first taken responsibility for their own health and wellbeing. He developed these five principles which he taught to his students as strategies to apply to life. Although I am straying now from the topic of Gratitude I want to go through the 5 Principles with you. Anger can be and is a very destructive and self-destructive force as it hurts ourselves as well as others. Anger blocks us from love and compassion. I realise it’s easier said than done to just “stop” being angry when the feeling comes and it’s best not to suppress the feeling for it to return another time. So finding a way to deal with the feelings of anger when they come is essential. Anger uses a lot of our energy and it is never in alignment with our True path. You need to remind yourself that anger is not your real nature and as such it will pass. Try to acknowledge it, witness it and then let it go forever. Welcome calmness. Holding anger in can and will do more harm than good especially to ourselves. Have you never noticed how angry, bitter people tend to look haggard compared to others? Worry, like anger will also deplete your vital energy. 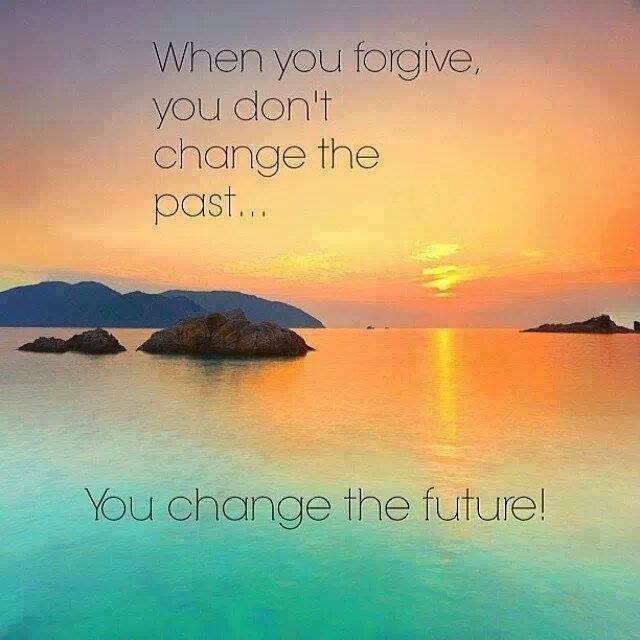 While anger deals with past and present events, worry deals with perceived future events and happenings. We usually have no ultimate control over future circumstances anyway so worry is pretty pointless. It’s also, like anger, very unhealthy. Some people seem to think worrying about loved ones is a sign of caring but in fact, it projects a negative energy around both the worrier and the person being worried about. If you think about it, worrying doesn’t achieve anything positive – only negative. I always tell clients to substitute the word “think” for the word “worry”. You can “think” about a situation, a solution, your friend or family – it’s far more positive to “think” about a difficult situation and how you can help solve it. “Thinking” is far more fruitful, productive and positive than “worrying”. Here is the third Reiki Principle and the one relevant to this article. If we live in a state of gratitude, appreciating and giving thanks for the many blessings in life that we have, we can help transform negative attitudes and thoughts into positive ones. This, in turn, raises our vibrations and attracts more things for us to be grateful for. This is the seed of abundance! The last of the 5 Principles is telling us to show kindness to others. We must honour all living things (including animals and plants) and be tolerant of the way others choose to live their lives. It is important that we realize and accept that being kind and friendly to everyone must include ourselves of course. So here are the 5 Reiki Principles – simple and to the point. It was in my attempts to be a “good Reiki student” that I learned these 5 Principles but it was the line about Gratitude that “clicked” first and foremost in my mind at the time. Slowly, over time, I added more people to my list of blessings to count each morning, then later, I added things to the list. My good health was one of them, the wonderful girls on my course another and the wonderful things I was learning. The seasons, the snow, my trip to Kenya, the birds singing and my car starting first time! See? After a while you will find things to be grateful for just flow forth. Then I started writing them down in a little notebook – the more I did this, the more I received to be grateful for. It’s all about matching vibrations. If you complain and send out the negative vibrations of complaining, the Universe will match it by giving you more things to complain about. If you send out the positive vibrations of Gratitude – Like attracts Like – the Universe has to match it and you will just keep getting more and more things to be grateful for. 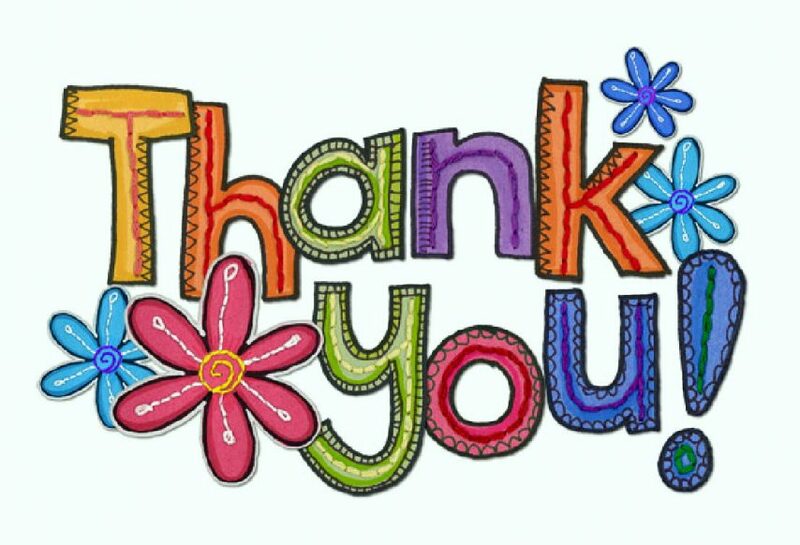 Some people feel weird because they don’t know who they are saying thank you to. Some people choose to thank the Universe. Some people thank God. However, it is important here to remember we are all extensions of pure consciousness and as such we ARE the Universe! Also, it would be wise to remember that YOU create your own reality, and always have, so anything showing up in your life that you are grateful for, YOU manifested. So thank yourself. Whatever you do, don’t create a perception of separation between you and whoever you thank. That perception of separation will keep you from manifesting your desires. If you still feel awkward or silly (even to yourself!) in the beginning then have some fun with it. I am grateful for waking up this morning! I am grateful for this old tea bag I found at the back of the cupboard. If you are feeling grumpy or are prone to complaining and can only see the negative around you then you need to look for the Silver Lining in everything. Eg. I am grateful for the pouring rain this morning because the parks need to be watered. I am grateful for getting to wear my waterproof clothes – again. I am grateful that the car is getting a free wash! If you do this, to yourself, all the way to work, you’ll soon have a smile on your face! For greater impact and effectiveness try writing your Blessings down. I’ve now got notebooks and journals full of my blessings – I find a quiet spot and a quiet moment – each page headed with the date and Today I am Grateful for: Or Today I Thank myself for: – the list goes on and on. Use your senses – what can you SEE that you’re grateful for? What can you SMELL? What can you HEAR? How do you FEEL? If you’re poorly or sick be grateful for the bits of you that are healthy. If you’re not happy with your body, be grateful for the bits you ARE happy with. This is an amazing tool for learning to love and appreciate your body. It is so easy for us in today’s world to dislike our bodies and even actively and verbally (well inside our heads anyway) hate parts of our bodies. Giving gratitude for our bodies and body parts is the easiest way to become more beautiful and healthy. Seriously. I’d like to digress again here and explain how and why giving gratitude to your body is so important for your health and well being not to mention your beauty! It is beautifying and nourishing the body from the inside out that I want to focus on here. The secret is in how we apply these moisturisers and oils – simply by doing it with love and gratitude. 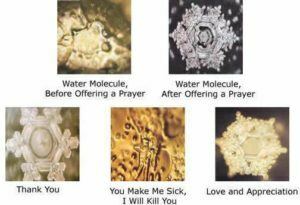 Before I expand on this I want to share with you the work of Masaru Emoto who worked with water crystals. He used different words (and the energy of those words) directed at water crystals to see the effects. You can see that the molecules of the water crystals responded to love and gratitude by making beautiful formations and to the negative energy of the nasty words by being, well, not so pretty, eh? I was told of an experiment recently like this carried out on growing rice – in 3 containers. The first one was lavished with positive feelings, words and thoughts of love and gratitude, the next one was ignored and the 3rd one was subjected to some nasty energy, words and thoughts. As they grew and as expected the first one flourished, the 3rd one didn’t and, interestingly, the 2nd one went really bad (proving that neglect has worse consequences than negative attention). You can see the same effects in plants grown by loving gardeners compared to those tended without such positive emotion. Anyway, my point is this. We are made up of 50 trillion cells (Bruce Lipton says so and he’s a Cellular Biologist!) so it makes sense to me that if we fill each one of those cells (or as many as we can!) with love, gratitude and joy we, too, will be healthier and flourish like the 1st container of rice and we, too, will be “prettier” like Emoto’s water crystals. So, as you dry yourself after the shower, as you rub on your moisturiser and as you apply your oils (and make up etc) tell each part of your body how much you love it, find a reason why and send love and gratitude to that part of your body – to the numerous cells of that part of your body. Say “thank you” to them. Don’t sit there and laugh – DO IT! So in addition to nourishing your body with the right foods and exercise you can also focus on nourishing it with love and gratitude. Remember the Law of Attraction means the more love and gratitude you give to your body the more reasons it will give you to love it and be grateful for it. Simple! So include your body and various body parts in your lists of gratitude along with everything else you are grateful for. But again, try not to perceive your body as being separate from you for your body is also made of pure consciousness and as such is one with all that is. Whatever you focus on is what you will get more of so find something positive to say about those difficult people in your life. Focus on the good things about the relationship. You can even express gratitude for the lessons you’re learning from them. If you are trying to manifest more money into your life, and this is a common one, then you need to give gratitude for the money you already have. This is where “lack thinking” can get the better of us. How can we give gratitude for the money we have when we don’t have any? Firstly, use the word “prosperity” and not money. You are opening up more possibilities for the Universe to bring it to you if you use the word prosperity. After all, if you are provided with certain things you usually have to buy then you get to save some money and, in effect, will have more money, right? Prosperity works. We all have prosperity of some kind so we can repeat affirmations about prosperity with more intention and belief. I am grateful for my prosperity. My clothes, the food in my cupboards, the roof over my head, the pennies in my purse. Prosperity comes to me easily. Focus on your prosperity and not your lack. If you focus on your lack, the Universe will bring you more of it. The Universe has no concept of numbers. One penny, energetically, is the same as £1 which, energetically, is the same as £100 and £100,000. Money is an energy like everything else. The only thing keeping it from you is the thoughts and beliefs that you place on it. So always bless the pennies. With whatever issue you’re concerned about find something to be grateful for……..the Universe will take it from there! And when more shows up – remember to Thank yourself! I often get asked how many sessions it will take for a symptom to heal through Energy Healing. I have also had people tell me that they will agree to have Energy Healing sessions with me if I can guarantee their success! Well, sorry to say, no can do. There are no guarantees. The sceptics seem to think they have won some sort of battle when we say there are no guarantees, as if, somehow, that proves a lack of faith in ourselves or, indeed, in our work. However, the truth is quite to the contrary. When working with you, an Energy Healer is doing just that – working with you – and your energy field. 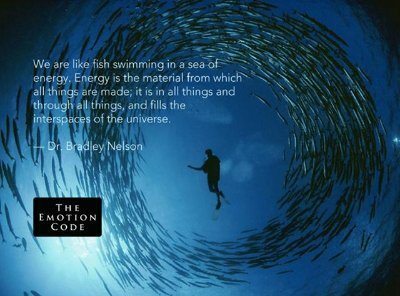 You have ultimate control over your energy field. In fact, you have always had ultimate control over your energy field. Even when you got sick in the first place. Sorry, but true – you just didn’t know it at the time. Our energy fields and our bodies are a mish mash of energy flowing around – some of it positive and some of it negative. Some of it vibrating at a higher frequency level than other parts of it. Some of it therefore, healthy and some of it, therefore, unhealthy. My job, as an Energy Healer, is to help you release the negative, unhealthy energy from your energy field and help you promote the input of more positive, healthy energy. Pain and emotional symptoms are simply the result of your body telling you, you have something negative to release. Your body is telling you that you have a resistance to healing. Our bodies naturally self heal but we sometimes put up some kind of resistance to this healing and that’s where our pain comes from. 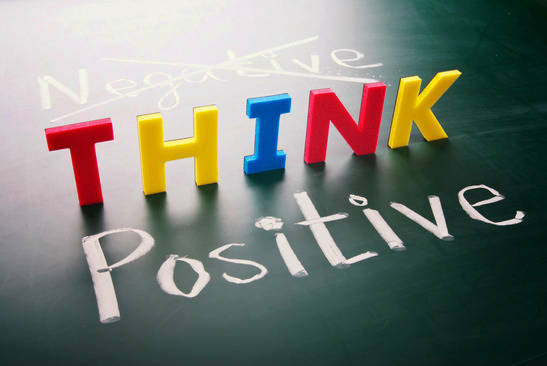 Either way, it’s a simple case of taking out the negative, removing the resistance and putting in the positive. It’s a bit like being in a boat with a small hole in it where the unwanted water is getting in. At first, not a big problem – but after a while, that input of unwanted water (negative energy) causes the boat to sink. If the boat owner doesn’t know what to do with their own boat, they call in someone to help. The helper then starts to scoop out the unwanted water from one end of the boat. Some boat owners, aware of how things work, help by working out how to block up the hole and they also begin to scoop the unwanted water away. They sometimes have to get their hands dirty and probably follow advice they are not comfortable with – it isn’t always easy – but working together solves the problem as quickly as possible. However, sometimes, when the boat owner doesn’t understand how these things work, they ignore the hole in the bottom of the boat – the original cause of the problem – and they just sit and watch as the helper consistently releases unwanted water from the vessel. Success in this scenario, of course, will be short term and long term relief will be limited. There are even cases when the boat owner doesn’t just sit and watch the helper but actually sabotages the operation by taking a container, much larger than the helper’s, and scooping up unwanted water from outside the boat to put into the boat! What kind of boat owner are you? So, if anything, Energy Healers should be asking you for guarantees. Can you guarantee to take an interest in your own boat? Learn how it works and help fix it? If you are in the process of fixing your boat and would like help with this please get in touch. We were born to be great. We are innately great. So why don’t we always feel so great? How come we experience pain? Very often it’s because we have grown. Spiritually. When we make spiritual shifts in life, either through working on ourselves or through amazing experiences (or both!) and our vibrations rise suddenly, it can take time for that shift to manifest itself into our dense, physical 3D bodies. In addition to that, we have accumulated blocks and restrictions along our path in life. We have created these energetic blocks ourselves with our own limiting beliefs and our man-made fear. It’s as if our spiritual growth is demanding that we release these beliefs and man-made fears. But they are just that – beliefs and man-made. Release your negative thinking, release your limiting beliefs and release your man-made fear. Physical pain is just the body’s way of telling you that you are resisting something new. Pain is just a message that we are resisting change. When you can view your physical pain as just that – a message, and a positive message at that – then the negative complaining of the pain can turn into gratitude and love and soon, very soon, the pain will make way for that spiritual growth that your soul was looking for. So when you work on yourself – with affirmations, gratitude, emotional healing etc – your vibrations rise and you grow spiritually. As your level of consciousness rises, you align further with who you really are. But our physical human bodies can be cumbersome. They, in their dense 3D state of being, need time to adjust to the new frequency at which you are vibrating. This causes dis-ease and imbalance within the cells of the body. When faced with this situation, I found Abraham Hicks very comforting (click here for Abraham Hicks and physical pain on YouTube). It provided me with the insights I needed in order to turn the anguish, worry and despair of the pain into gratitude, joy and excitement at the shift I was experiencing. The pain went. Being in physical pain makes it hard to concentrate, focus, think clearly let alone think positively but you need to do just that and to appreciate what’s really going on. Look at the bigger picture. You are being given an opportunity to grow, an opportunity to release and an opportunity to shine even brighter than you ever have before. So instead of moaning and complaining to your body about the pain – stop and ask yourself – what do I need to release? What is holding me back? What is my body trying to tell me? Affirm that you are willing to release all resistance. Allow the release. Allow the change. Enjoy the growth – for with it comes greater health, greater peace and greater happiness. Release the resistance to your greatness. Llevamos años hablando metafóricamente del concepto de que formamos un muro alrededor de nuestros corazones, y el refrán “Una y no más, Santo Tomás” es muy cierto para muchos de nosotros. Nos protegemos de un corazón roto y del dolor “apagando” nuestros sentimientos, y en casos más severos podemos llegar a vivir “cómodamente entumecidos”. 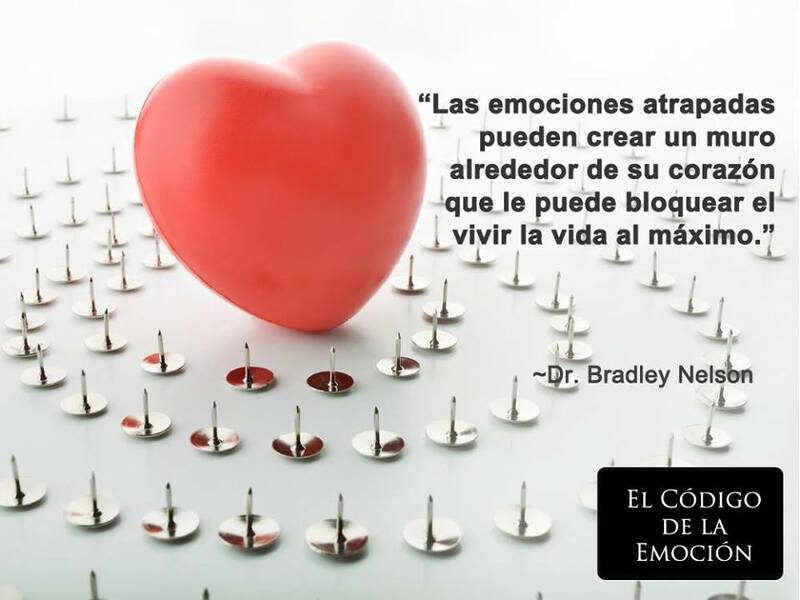 Muchas personas no se dan cuenta de que literalmente podemos construir, y de hecho lo hacemos, un muro de energía negativa (emociones atrapadas) alrededor de nuestros corazones para prevenir que emociones negativas y dolorosas lleguen hasta el corazón. Inicialmente esto puede parecer algo muy práctico en ciertas ocasiones, pero tienes que darte cuenta de que si previenes que entren emociones negativas en tu corazón, estás haciendo lo mismo con las emociones positivas, y no sólo eso; el muro funciona en ambos sentidos, también previene que las emociones positivas emanen desde el corazón. Todos hemos escuchado que “lo semejante se atrae”. Puede que no lo creamos o entendamos, pero es un hecho científico que simplemente “ocurre”, así que……. mantén esto en mente. Todos somos energía (todo es energía, ¡otro hecho científico que tenemos que entender!) y toda la energía vibra a ciertas frecuencias. ¡No te vayas, te prometo que no es muy complicado! Las emociones también son energías con su propia vibración, y cuanto más positiva sea la emoción, más elevada es su vibración. Por ejemplo, el sentimiento de amor tiene una vibración más elevada que el sentimiento de culpa. Cuanto más positiva sea la energía que tengamos, más positiva será la energía que emanemos, y más energía positiva atraeremos. Así que…………. volvamos al corazón y a su muro. Si liberamos la energía negativa que forma nuestro Muro de Corazón, podemos permitir que la energía positiva vuelva a emanar de nuestro corazón (Amor y Júbilo, por ejemplo, que surgen de forma natural), lo cual atraerá Amor y Júbilo verdadero por parte de los demás en forma de tu media naranja (alma gemela), además de más experiencias positivas en general. Si muestras al mundo un corazón “protegido” con una capacidad limitada para sentir, atraerás a alguien con los mismos problemas (¡una y otra vez! ), prorrogando tu patrón negativo de comportamiento en todos los aspectos de tu vida, pero especialmente en relación a tus parejas. Así que ahora ya sabes por qué atraes una y otra vez las relaciones equivocadas. Libera tu Muro de Corazón y no sólo romperás ese círculo vicioso de parejas equivocadas, también podrás sentir más amor, más júbilo y más paz en todos los aspectos de tu vida. Realmente hace que se te abra el corazón, permitiendo que recibas más energía positiva en todo momento. Yo puedo ayudarte a liberar tu Muro de Corazón y a disfrutar la libertad y el júbilo que supone tener un corazón realmente abierto. ¿Cómo Funciona La Sanación Energética A Distancia? Somos como peces nadando en un mar de energía. La energía es el material con el que todas las cosas están hechas; está en todas las cosas y a través de todas las cosas, y llena el inter-espacio del Universo. La respuesta fácil a esta pregunta tan frecuente es que “Todos estamos conectado”. Sin embargo, esta información muchas veces nos lleva a preguntarnos la también habitual pregunta de; -¿Cómo estamos todos conectados? Primero, para entender cómo estamos conectados, necesitamos entender que todo es energía. Este concepto es ya de por sí difícil de asimilar, especialmente cuando la mayoría de vosotros estaréis, en este preciso momento, sentados en lo que aparenta ser una silla muy sólida pero, sin embargo, el hecho es que está científicamente probado que todo es energía. No sólo todo es energía sino que a su vez esa energía vibra a diferentes frecuencias. La Ley de la atracción (Platón : “Lo similar se atrae” alrededor de 319 AC) explica que la frecuencia que emitimos es la que recibimos, que es por lo que a la gente positiva les suele pasar cosas positivas y viceversa. Lo que sea en lo que enfocamos nuestra mente eso es lo que recibiremos/seremos (hay demasiadas personas a las que citar con respecto a esto, pero será suficiente decir que Buda y Louise Hay, entre muchos otros, han sido citados refiriéndose a este tema). Si hay dos personas, una llena de positividad y otra hundida en la miseria, después de un rato encontrarán una frecuencia común – o el positivo se sentirá peor (su energía positiva le habrá sido chupada) – o el que se siente desgraciado se sentirá mejor. Todos tenemos personas, sitios y cosas que nos hacen sentir mejor – que elevan nuestra vibración – un buen amigo, la playa, el amanecer, nuestra mascota, nuestra butaca favorita, etc. (¡incluso si esa butaca está vibrando a una frecuencia diferente a la nuestra, y aparente ser sólida!) Esto demuestra que podemos ver y sentir la energía que nos rodea de forma cotidiana. Así que, ¿cómo se aplica esto a distancia? Bueno, la raíz de esta respuesta la encontramos en la física Cuántica, y particularmente en las 2 principales teorías cuánticas. La primera es la de la No-Localidad (a la cuál Einstein se refería como “la inexplicable acción a distancia”) y la segunda es la Intricación Cuántica. Ahora, yo no soy físico cuántico y apuesto a que no muchos de los que lean esto lo serán, así que no voy ni a intentar desmigar estos conceptos científicos y la videncia que ellos aportan pero, por favor investigarlos y buscarlos en google. Abreviando; se ha observado que lo que afecta a una partícula en un sitio determinado, también afectan a otra partícula (átomo, fotón, molécula…energía), aparentemente separada y que se encuentra en otra localidad. El concepto de la Intricación se ve comúnmente en las madres que pueden “sentir” cuándo sus bebés les necesitan o con gemelos que pueden “sentir” lo que el otro siente. No es factible ni legal que cite el capítulo entero aquí, pero después de investigar profundamente este fenómeno, esta es la mejor explicación para nosotros, profanos en la materia, que he encontrado hasta ahora, y cuesta menos de £8 comprarlo en internet, así que si alguien sigue teniendo dificultades con esta pregunta le animo a que invierta en él. (El libro también explica cómo mantener el romance vivo en la relación de pareja, de ahí viene el título). Cuando sanamos a distancia (o se lleva a cabo una investigación científica para probar la teoría mencionada) se necesita estar concentrado en lo que se está haciendo – los sanadores energéticos lo llaman “intención”, pero su propósito vuelve al hecho de que los pensamientos son energía y los pensamientos positivos atraen a sus similares y, entonces, esa inter-conexión que todos poseemos se vuelve más fuerte cuando está específicamente dirigida. -¿Por qué no simplemente creer? Después de todo, yo no entiendo la electricidad demasiado bien pero sé, creo y espero que la luz se va a encienda en cuanto le dé al interruptor. No entiendo demasiado bien cómo funciona internet pero sé, creo y espero respuestas cuando las busco en google…….y hay millones de personas, puede que tú seas una de ellas (¿), que no entienden demasiado bien la química que contienen los medicamentos que les prescriben, sin embargo “creen” y “esperan” que funcionen. ( Ahora estamos tocando los conceptos del Efecto Placebo que puede ser un tema relevante para explorar…… pero esa es otra historia!). En otras palabras, estamos todos conectados tenemos poder dentro de esta conexión energética nuestra. Si sigues teniendo dudas, sólo puedo decir, pruébalo – venga, dale al interruptor y ¡que se haga la luz!